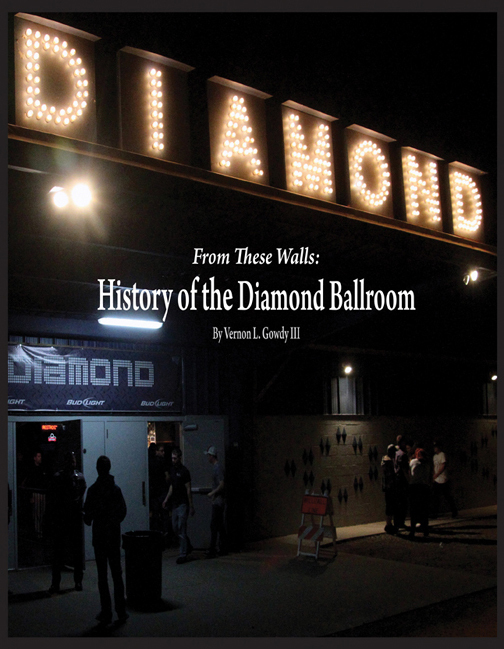 Paperback book (6" x 9"), 224 pages, 160 photos - the interviews, the funny stories, behind the scenes and more. 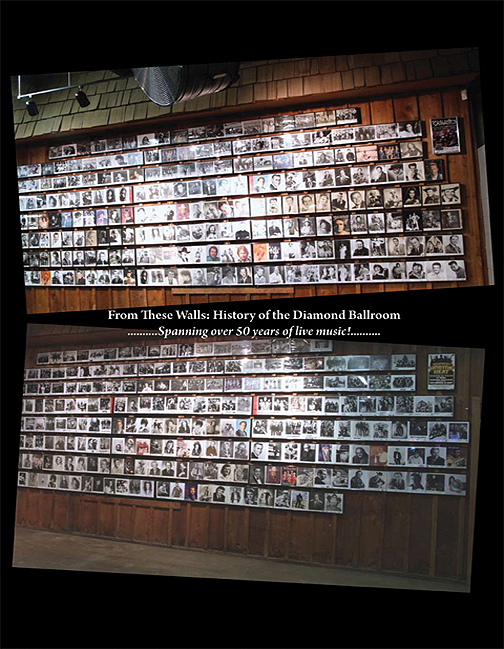 This 224 page book covers the beginnings of the Diamond Ballroom from 1964 to the present with stories about Ralph Russell Sr. and Ralph Russell Jr. and with interviews with musicians, employees, friends, family members and business acquaintances that give insight to the rich history of the Diamond Ballroom throughout the past 50 plus years. 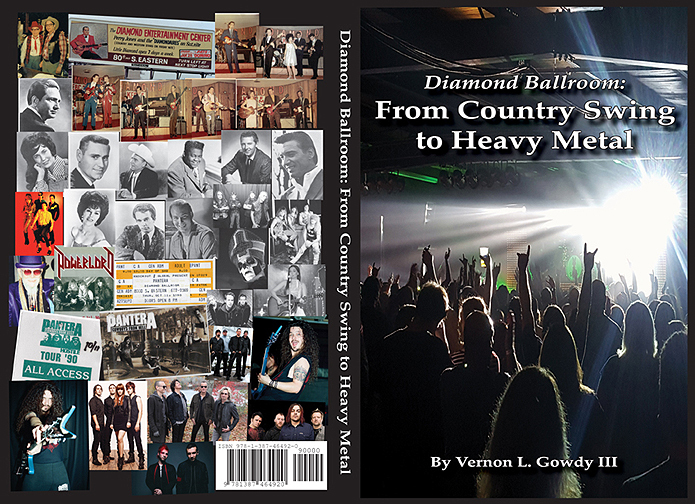 The seventeen chapters covers the four legendary shows by Pantera - the country swing period - interviews and stories with legendary Oklahoma artists Wanda Jackson, Jude and Jody, Bryan White, Jody Miller, Norma Jean, Conway Twitty - highlights of some of the artists from the 60s and 70s like Fats Domino, Jerry Lee Lewis, Bob Wills, Willie Nelson, Merle Haggard, Hank Thompson, Loretta Lynn - the heavy metal period with interviews and funny stories from Rev Jones, Tony Gourley of Powerlord, Robin Alvis of Ibex, Gregg Scott of Forte, General Manager Jeff Brownen - the Diamond Ballroom TV show - The Little Diamond Club - The Nixons with John Humphreys and Jesse Davis - the concert promoters with stories from Howard Pollack, Max Baker, David Fitzgerald - highlights of some of the biggest stars that have graced the Diamond Ballroom since the 90s and more.